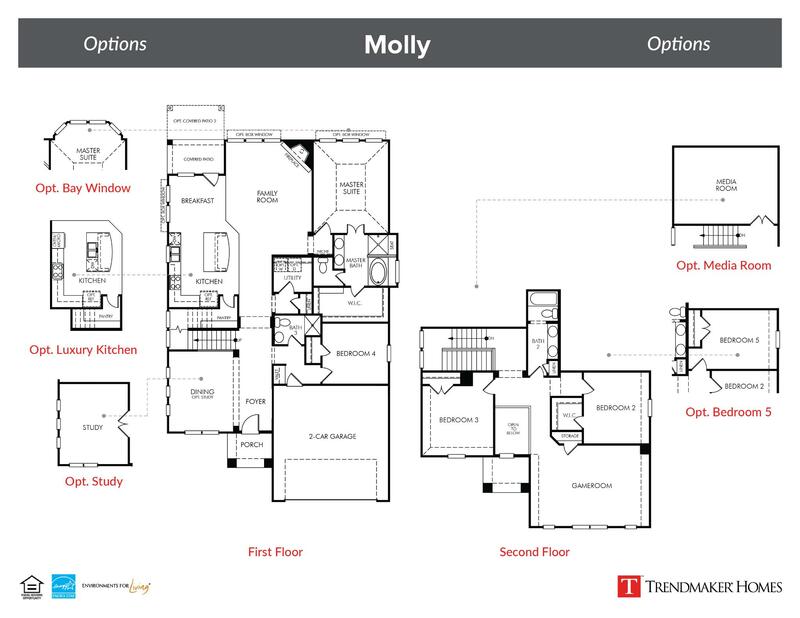 This large two-story home provides a trendy layout while maintaining maximum functionality. The gorgeous foyer is boarded by a formal dining area, and secondary bedroom & full bath. The spacious kitchen opens to a sun-filled family room and includes a center cooking island, stainless steel appliances, and large walk-in pantry. Don’t miss the must-have master suite with private master bath and large walk-in closet located in the back of the home. Upstairs contains an open gameroom and additional bedrooms and bathroom.